How many chicks do you have? We hope the answer is three because this is the perfect necklace! 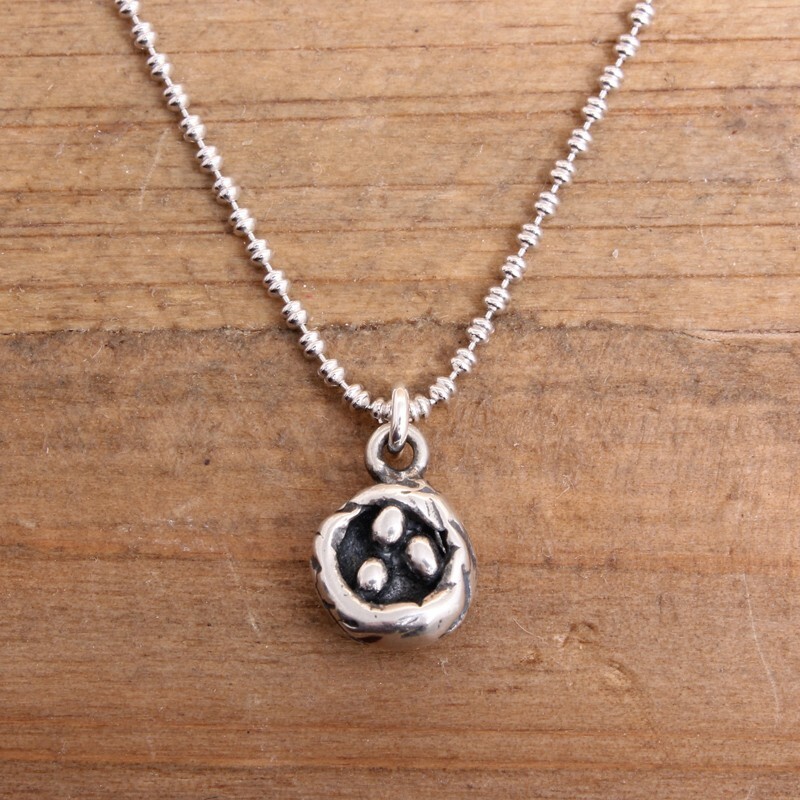 A sterling silver nest with 3 eggs cozily sitting inside hangs from our sterling silver ocho chain. 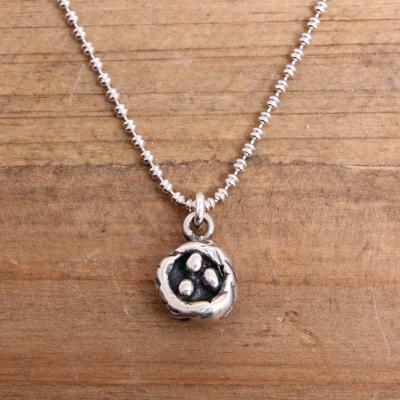 A simple mother's necklace that you will adore. Sterling silver charm has 3 eggs nested inside. This listing is for a 16" sterling chain and one charm. You can select an 18" chain Charms is approx 3/8". Since this item is on sale, all sales are final. Please note: Sale items are packaged in wax bags with N&L labels. If multiple items are ordered they are packaged together. If you select a rush shipping option we will gift box one item in our signature packaging (kraft box filled with lavender and rosebuds and tied with a ribbon) and the rest will come in the wax bag packaging. If you rush your order, please let us know which item you would like gift boxed in the comments section. If you would like all of the items gift boxed you can purchase additional gift boxes for $2.00/gift box by clicking here and selecting "Gift Box" in the dropdown menu..